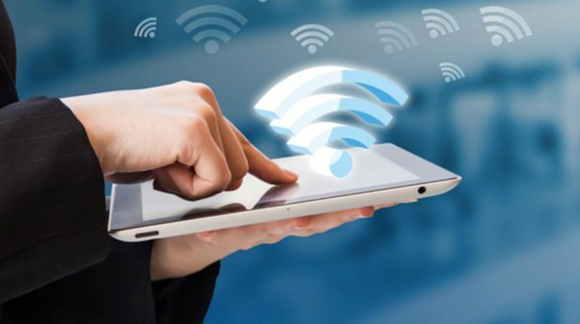 WiFi is something you can’t live without especially when you are on a budget or need to work online on your tablet that are not compatible with cabled network. However, usually, WiFi is not available or won’t work well if you don’t have a decent WiFi router. 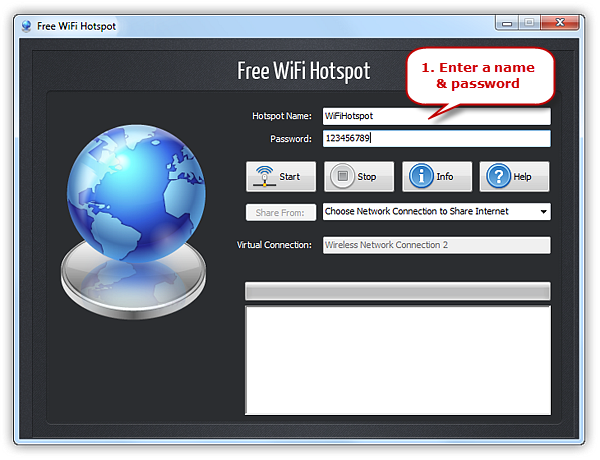 Read on and you will find the best hotspot WiFi software that is completely free and super easy to use. 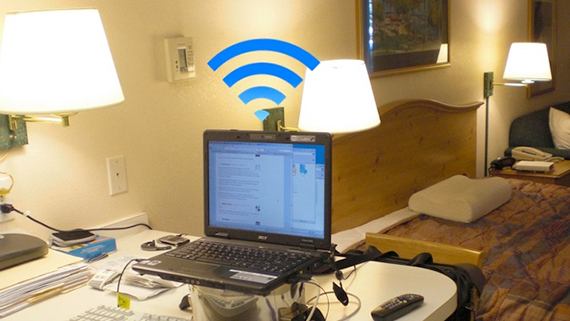 What would you do if you have to be stuck in a hotel or dorm room for a while where you have only one network jack? To simply put, buying a WiFi router is a direct way to get your devices connected; but what if you are in a hurry and can’t wait for the delivery or you don’t want to spend any money for temporary use and bring a big router in your luggage when you leave? Free WiFi Hotspot solves this problem once and for all. You may wonder how it does that without opening your wallet and how it works in detail exactly. Let’s take a peek into it to get you the answers. 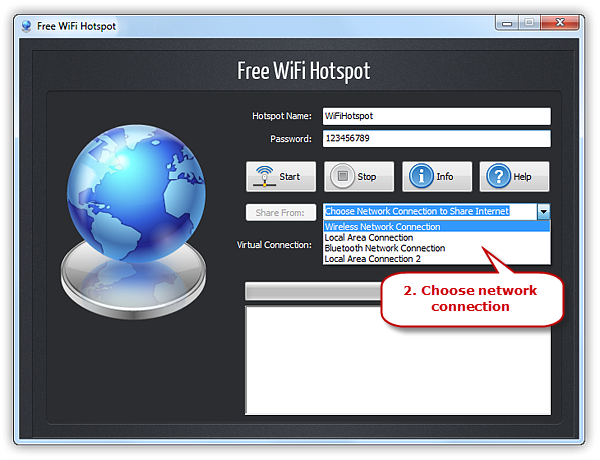 Free WiFi Hotspot is the best hotspot WiFi software that can turn your connected laptop into a wireless router so that all your devices can connect to Internet. It is free, safe and light to use, no need for any form of payment and registration. First thing first, your laptop must be connected to the Internet, no matter how. When you use Free WiFi Hotspot on your connected laptop, it detects and identifies the existing network, then, turns the network you choose into wireless signal, making your laptop a “router”. Your WiFi compatible gadgets can detect and use the signals to go online, for free. Free WiFi Hotspot makes everything easy – you don’t have to drive miles to find a store to buy a router; you don’t need to use your expensive cellular data to get your devices connected, especially when abroad; you don’t even need a certain type of network to make it work on your laptop because it supports almost every of them. First, if you don’t have Free WiFi Hotspot on your laptop, you need to download it via the button below and install it on your system. The SSID and password are necessary for your devices to access the hotspot you create. It can also protect the hotspot from freeloaders. Set them as you wish but we suggest you use a complex alphanumeric password; meanwhile, avoid sharing the same password with any other accounts of yours. 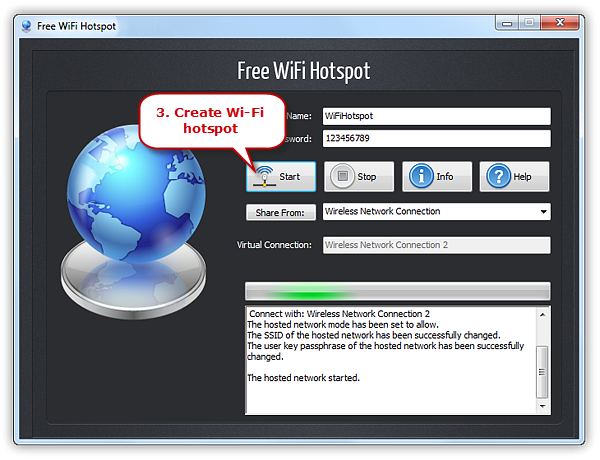 Free WiFi Hotspot can share any kind of network you have. Clicking on the bar on the right of “Share From” will extend a menu with all available network. Choose the one you want to share. Click “Start” and immediately the hotspot starts doing what it’s meant to do. Go find the hotspot on your device and connect to it via the SSID and password you set. If you want to stop the hotspot, simply click “Stop”. Now you get a free WiFi connection from whatever network you have. Free WiFi Hotspot can bring you more convenience: protect your device from unsafe public WiFi environment by creating a personal WiFi hotspot in it; repeat WiFi signal from your WiFi router to get fast speed in all rooms in your house; create a guest WiFi for your guests without providing your own passwords to them; help you pay less for inflight WiFi charged by the number of connected devices; share connection with another laptop. The possibility is endless.